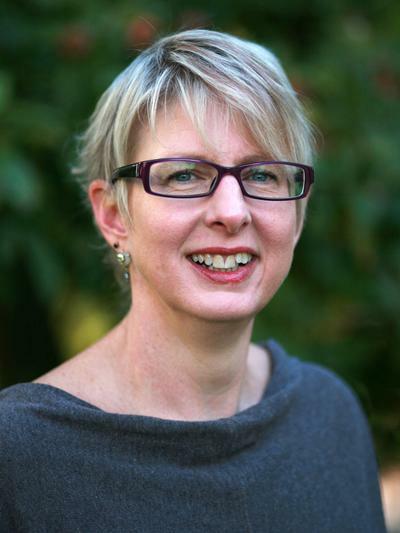 Dr Katherine Carnelley is Associate Professor within Psychology at the University of Southampton. My research area is personal relationships. I investigate the ways in which attachment experiences with parents and romantic partners influence how people view the self, others and relationships. My research focuses on how models of self and others influence people's thoughts, emotions, and behaviours in romantic relationships, for example relationship functioning, caregiving, and pain perception. Millings, A., Carnelley, K., Cavanagh, K., Wilderspin, A., Wiseman, H., & Rowe, A. (2018). Priming attachment security improves attitudes towards a range of therapies. British Journal of Psychology. Carnelley, K., & Schmitt, D. (Accepted/In press). Narcissism and the strategic pursuit of short-term mating: universal links across 11 world regions of the International Sexuality Description Project-2. Psychological Topics, 26(1), 89-137. Millings, A., & Carnelley, K. B. (Accepted/In press). The content of a large sample of core beliefs examined in an online Cognitive Behaviour Therapy program. Journal of Affective Disorders. Carnelley, K. B., Otway, L. J., & Rowe, A. C. (Accepted/In press). The effects of attachment priming on depressed and anxious mood. Clinical Psychological Science, 1-58. Rowe, A., Carnelley, K. B., Harwood, J., Micklewright, D., Russouw, L., Rennie, C. L., & Liossi, C. (2012). The effect of attachment orientation priming on pain sensitivity in pain-free individuals. Journal of Social and Personal Relationships, 29(4), 488-507. Carnelley, K. B., & Ruscher, J. B. (2000). Adult attachment and exploratory behavior in leisure. Journal of Social Behavior and Personality, 15(2), 153-165. Carnelley, K. B. (1998). Book review 'Adult attachment'. Journal of Social and Personal Relationships, 15(6), 856-857. Carnelley, K. B., Pietromonaco, P. R., & Jaffe, K. (1994). Depression, working models of others and relationship functioning. Journal of Personality and Social Psychology, 66(1), 127-140. Hepper, E. G., & Carnelley, K. B. (2012). Attachment and romantic relationships: the roles of working models of self and other. In The Psychology of Love (Emotion and Romance; Vol. 3). Westport, US: Praeger. Hepper, E. G., & Carnelley, K. B. (2008). Adult attachment and daily feedback: lability of self-esteem and relationship evaluations. Paper presented at Biannual International Association of Relationship Research Conference, United States. Hepper, E. G., & Carnelley, K. B. (2007). Adult attachment and patterns of feedback-seeking in relationship and competence domains. Poster session presented at 8th Annual Meeting of the Society for Personality and Social Psychology, United States. Hepper, E. G., Hogarth, H., & Carnelley, K. B. (2006). Does that make you feel good? Attachment moderates the link between sexual behaviour and sexual self-esteem. Poster session presented at 3rd International Association for Relationship Research Conference, Greece. Luke, M. A., Maio, G. R., & Carnelley, K. B. (2002). O' the humanity: the development of the Humanity-Esteem Scale. Paper presented at The 3rd Annual Convention of the Society for Personality and Social Psychology, United States. Luke, M. A., Maio, G. R., & Carnelley, K. B. (2001). Relations between attachment models, self-esteem, and humanity-esteem. Paper presented at The Centenary Annual Conference of the British Psychological Society, United Kingdom. Wortman, C. B., Carnelley, K. B., Lehman, D. R., Davis, C. G., & Exline, J. J. (1995). Coping with the loss of a family member: implications for community-level research and intervention. In S. E. Hobfoll, & M. W. de Vries (Eds. ), Extreme Stress and Communities: Impact and Intervention. Proceedings of the NATO Advanced Research Workshop on `Stress and Communities', Château de Bonas, France, June 14--18, 1994 (NATO Science Series D; Vol. 80). Dordrecht, NL: Springer.